I've always been a big fan of silly and over the top shreddy power metal .Sure it hasn't defined a lot of my listening lately but it's a type of music that will always have a special place in my heard and which has a weird tendency to grown on the listener. There is something endlessly fun about listening to dudes with high voices wail over top of lightning fast guitars. 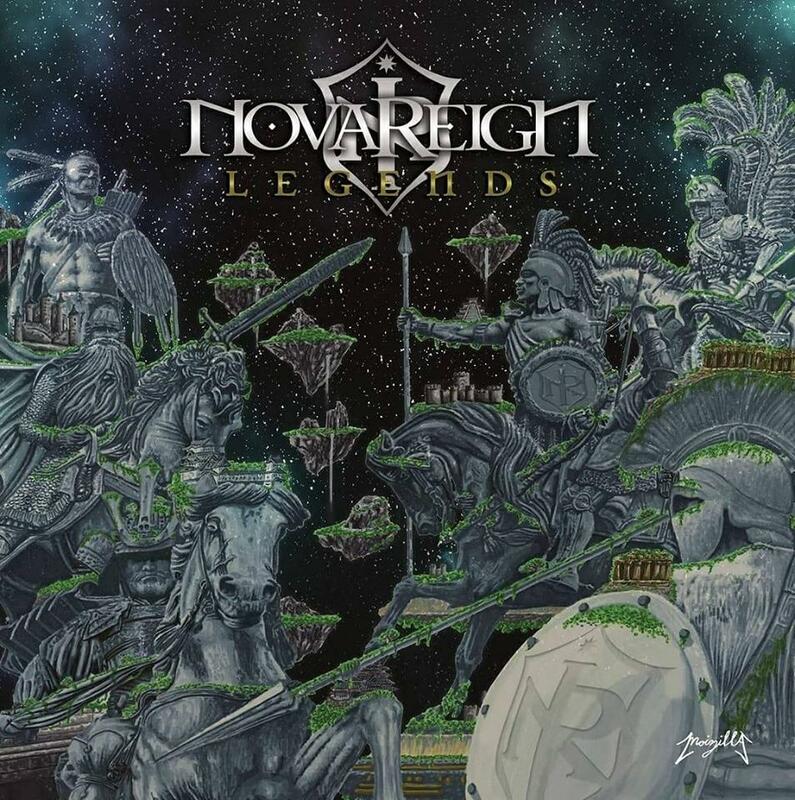 This Shrapnel Records sound is one that hasn't gotten a lot of love in recent years so it's a true pleasure to heard Novareign rip it out with Legends. There is something that can't help but to fascinate me with tracks like Heavy Heart with their high powered guitarmonies. There is a level of compositional excellence here that hearkens back not just to Shrapnel records but also the work of neoclassical composers like Paganini. Of course within this all there is a great sense of fun, padded out by fantasy inspired lyrics and all sorts of tasty little flourishes that only serve to make Legends one of the most addictive power metal records I've heard in a long time. In fact - while initially I was very turned off by the hour plus run time of the release, now I almost view that as a bonus. Yes - this is a record that takes a little bit of patience to get through and if you're not into the silliness of power metal then you are probably going to find yourself at a loss. For those of us though who like to keep it true, who love the glorious soundscapes and triumphant worlds we will find Legends to be the sort US Power Metal classic that we keep coming back to. 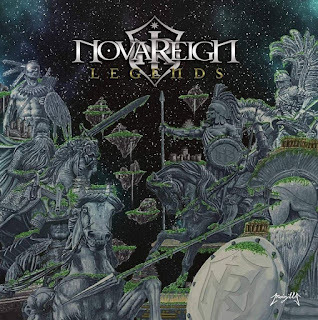 Novareign have hit the nail on the head with this release, they don't care about what you think - they are just here to have a goddamn good time.